Time to rollover and get moving after a long weekend! 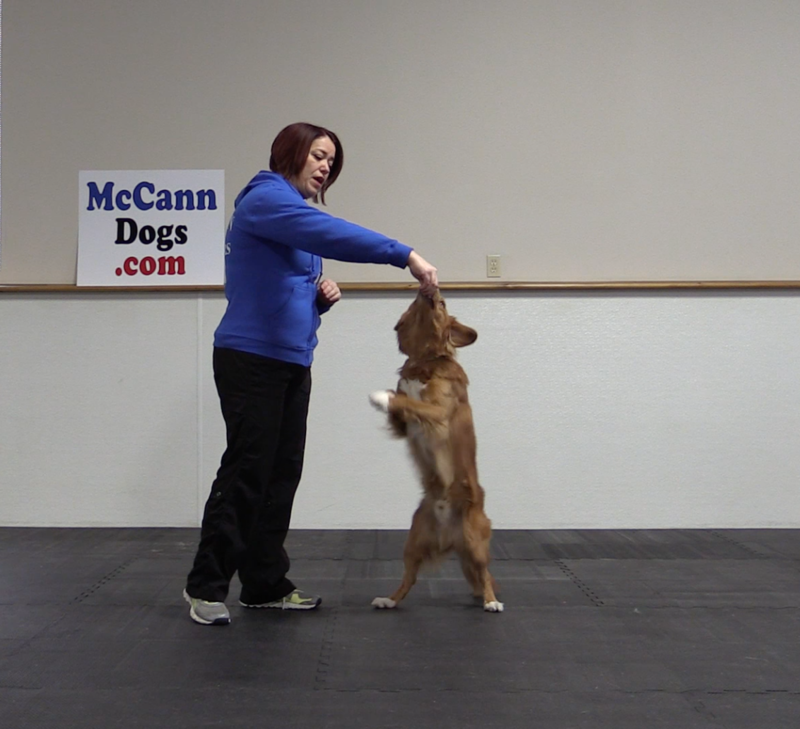 Welcome to the second posting in our Trick series – teaching your dog to rollover! 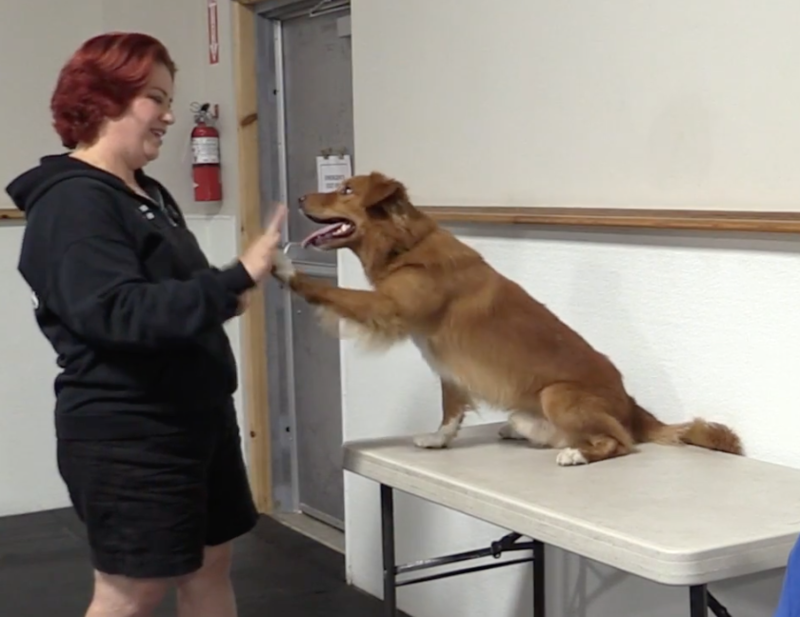 Trick Tuesday: Shake-a-Paw, High 5 & Wave! Welcome to the first in our Trick Tuesday series. Every Tuesday, we'll be posting a new trick tutorial. The first packs a punch as a 3-fer. 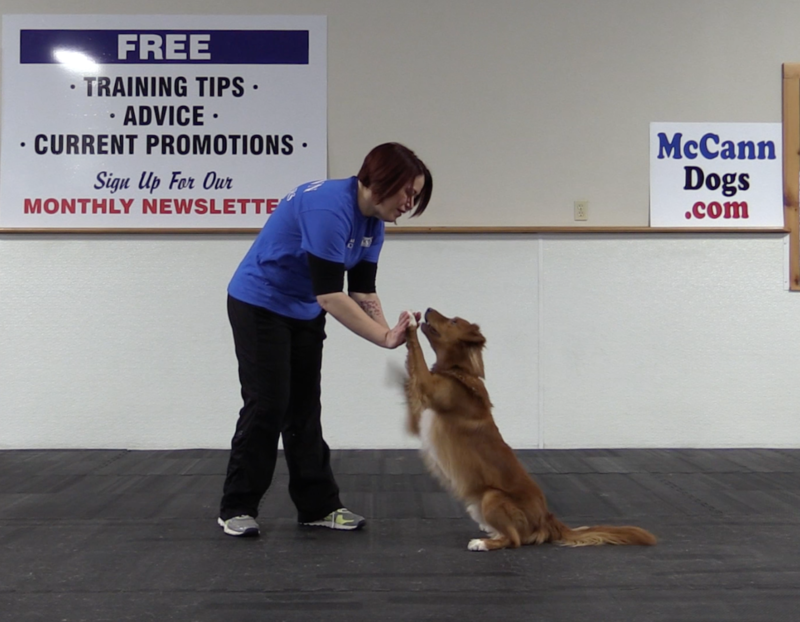 Teach your dog to shake-a-paw, give you 5 and wave all with the same basic lure. Welcome back to Trick Tuesday - every Tuesday, a NEW trick tutorial!! Today, we will teach you how to master a hand target. 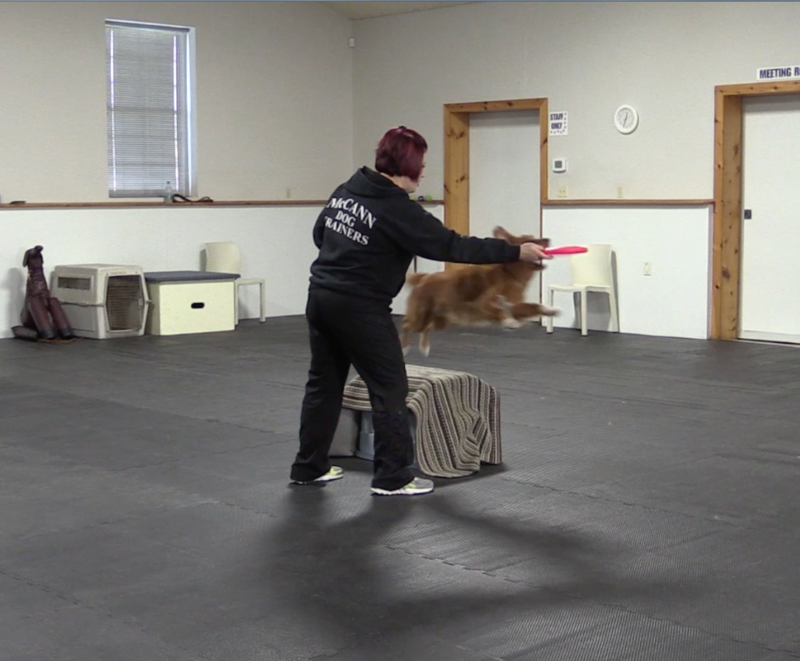 Hand targets are the beginning of teaching your dog to target to objects. We can quickly turn this into motion towards other objects. Once your dog understands how to target to a small piece of plastic, for example, you can then make your target command mobile and start to teach your dog to turn off light switches or close doors - even blow bubbles in water. The sky is the limit! Welcome back to Trick Tuesday! Every Tuesday, another trick! 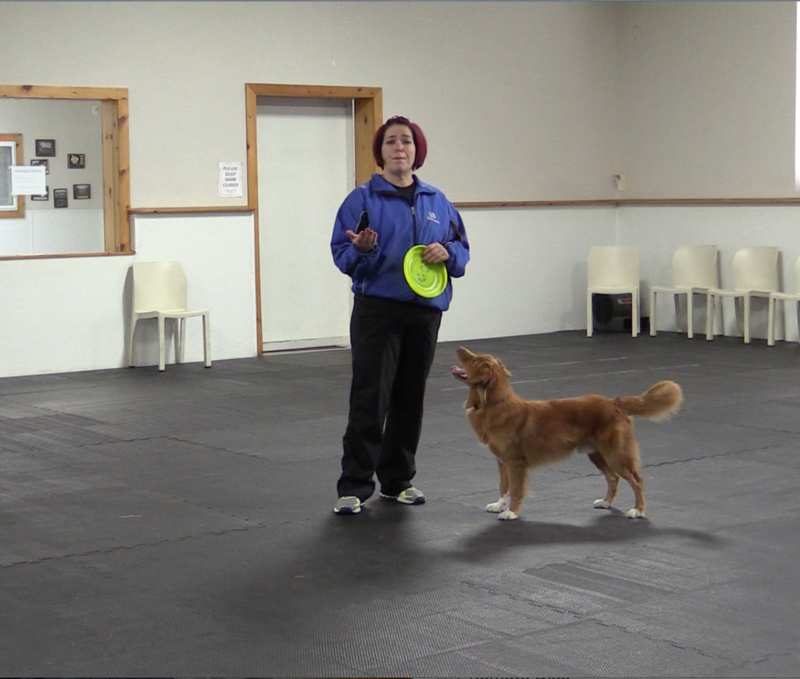 This week we add a bi-directional spin to our bag of tricks. This trick is lots of fun and can even turn into a “washing machine” command. 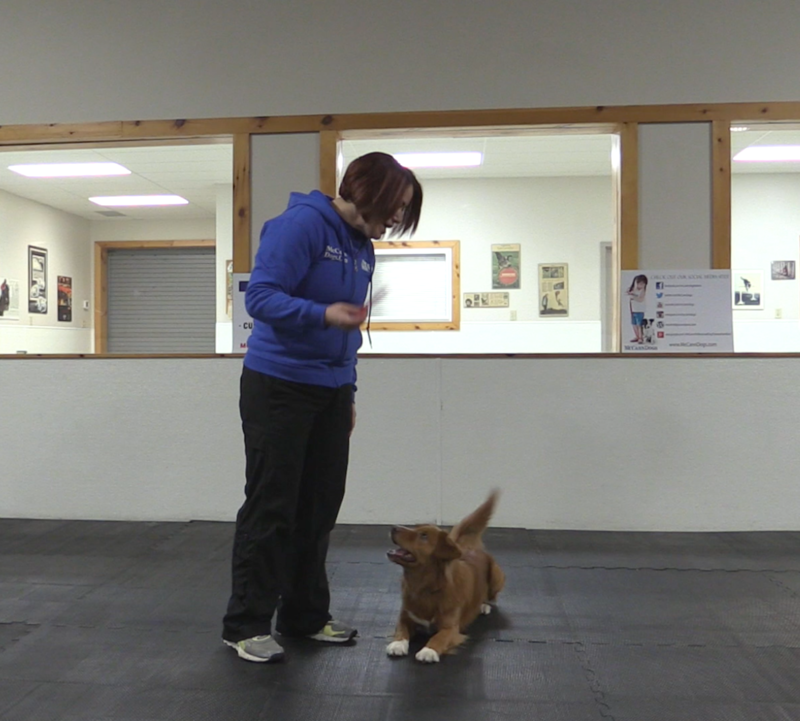 Once your dog understands how to spin in both directions individually, you can put them together. Welcome back to Trick Tuesday! Every Tuesday, another trick tutorial. Today we will work on teaching our dogs to weave around and through our legs. This trick is a real crowd pleaser. Today, Reggie challenges the cuteness factor by helping me demonstrate the "sit pretty" trick. 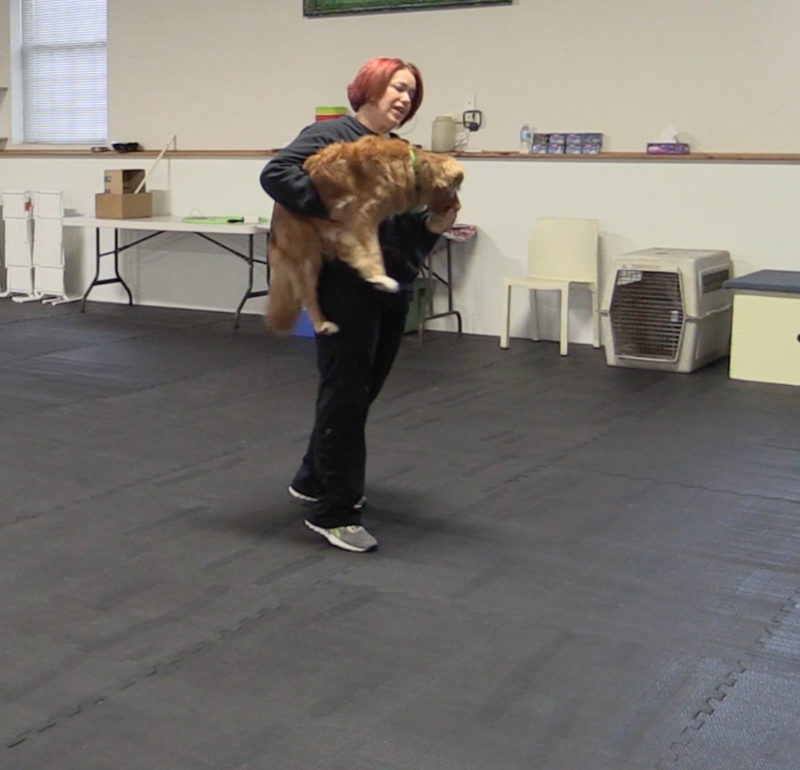 This one takes balance and core strength for the dog. Be sure your dog is physically sound enough to participate. This isn't a good trick to teach our senior dogs! This week's trick is a fun one! We are going to teach the dogs to "Play Dead." 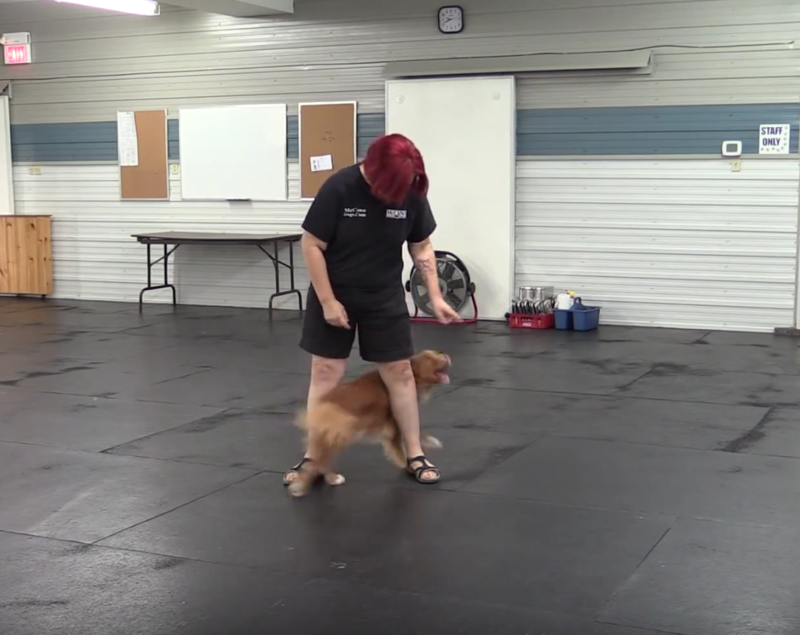 In order to teach this trick, we'll be using a method called, "Back Chaining" where we start with the last behaviour and work our way backward to the first. 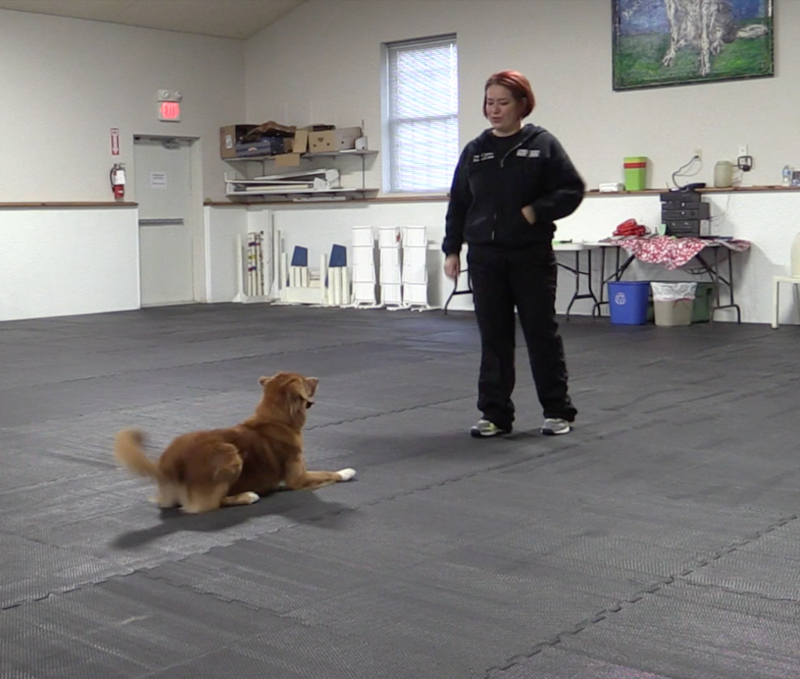 Our goal is that on one command, our dogs stop, lie down, flop onto their sides or back and hold position. So, we'll start by teaching them to hold position on their side. Once they've mastered that, we'll add in the position change. This week’s trick is a flashy one! We are going to teach the dogs to jump up into our arms. 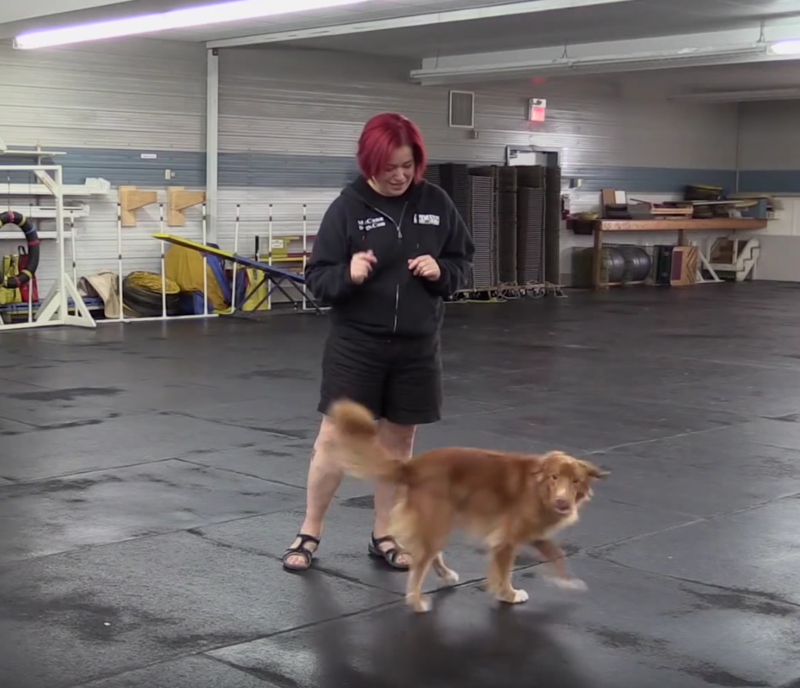 In order to teach this trick, we need to make sure that we have a dog that is physically capable of jumping a good height and we need to ensure that the handler is strong enough to catch them! This week’s trick is all about fun! We are going to teach our dogs some jumping skills. 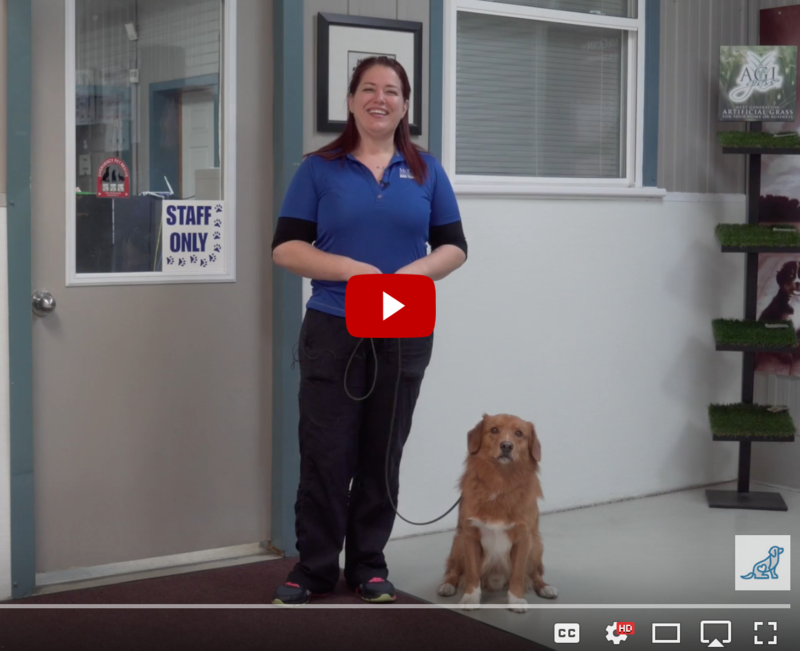 In order to teach jumping, we need to make sure that we have a dog that is physically capable of jumping without causing himself injury. You can make your own jumps out of household equipment. No need to buy or make anything fancy. A couple of boxes or pillows and a broomstick work great! Our goal is to start by rewarding 1 step backward, then 2, and then ask for a bit more with each repetition. Therefore, we’ll be capturing the behaviour we want from our dogs. 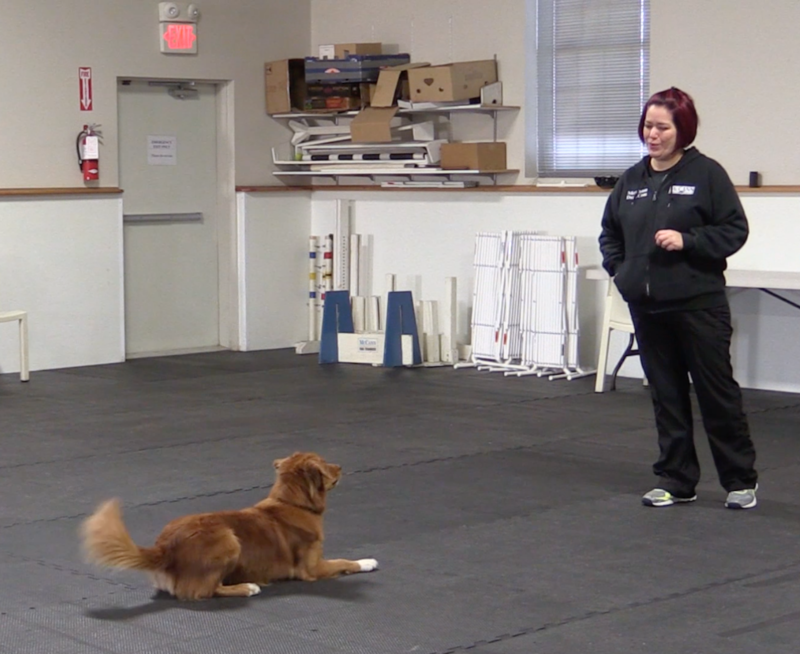 This week’s trick is about balance and rear-end awareness. We are going to teach our dogs to do a hand stand. 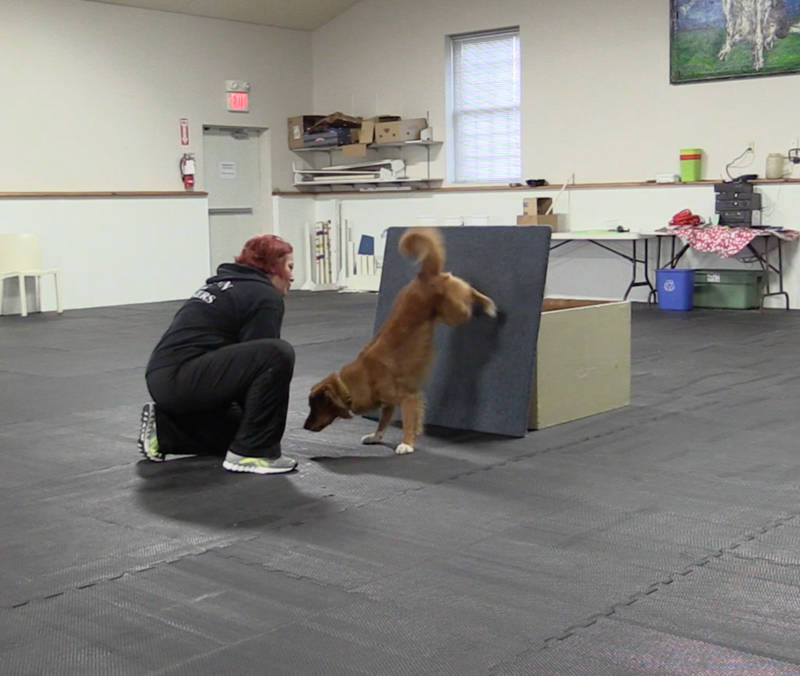 Before starting this trick, make sure your dog is physically fit and capable of putting pressure on their front end. 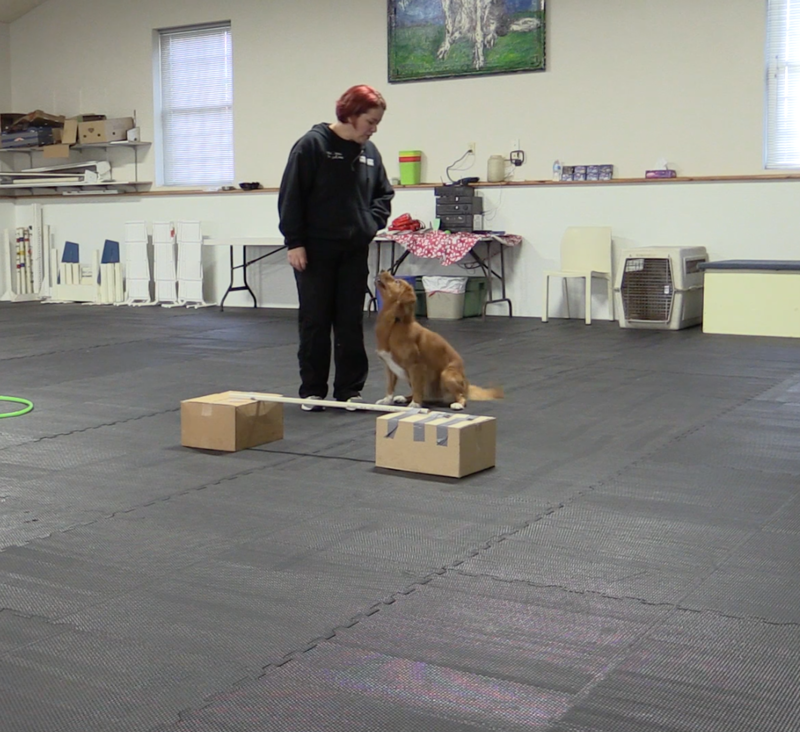 We are going to use our back-up command and a ramp to teach our dogs to balance on their front end only. We hear these and other similar stories all of the time in classes and we consider it all the more reason to work hard with your puppy to get them used to nail trimming. With a little bit of knowledge and practice, nail trimming can be a simple part of grooming. Remember that even if you don’t want to trim nails yourself, your dog will have to be part of the process and it’s essential that they are comfortable with it. We are going to use our chin command as a jumping off point for another trick in coming weeks. 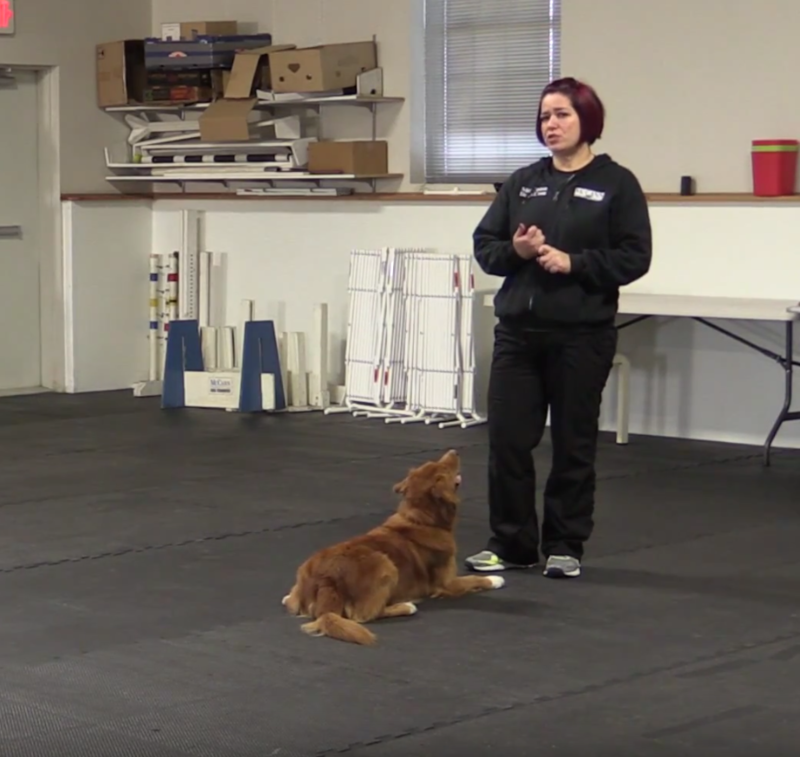 This week, we are going to teach your dogs to crawl! If you have trouble getting your dog to move to you without getting up, you may find that setting up a pole for them to crawl underneath aids in their understanding. 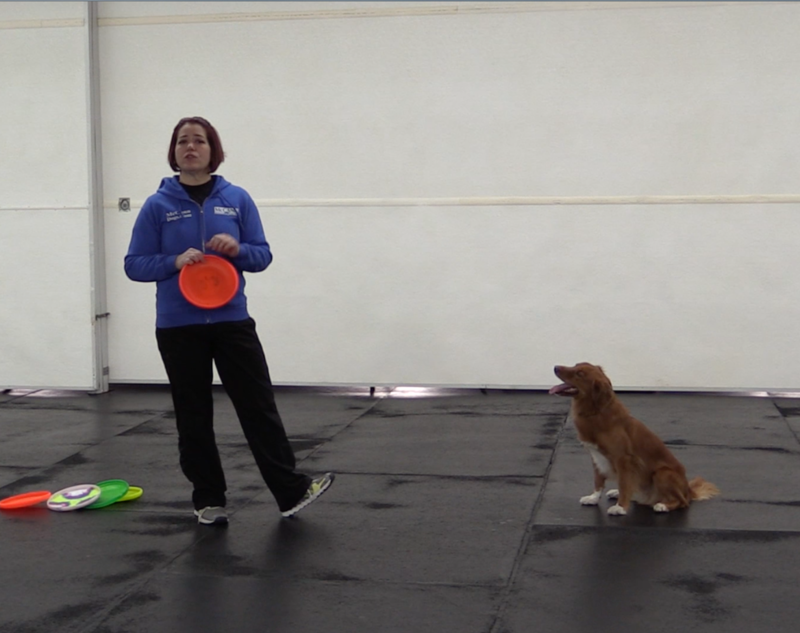 This week, we are going to start to teach our dogs some Frisbee skills! 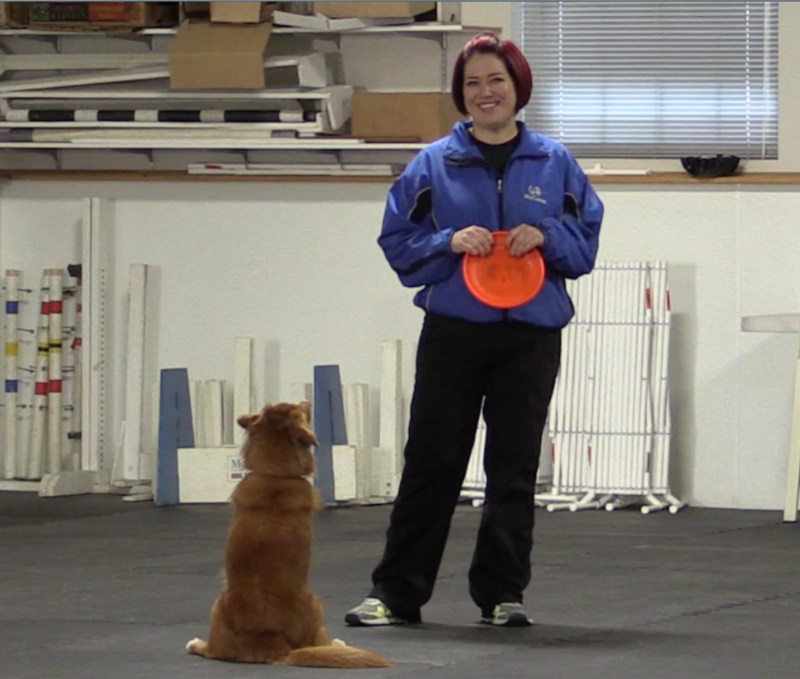 In order to have a successful Frisbee dog, your dog must enjoy retrieving. Teach them to first love bringing objects back to you before considering the game of Frisbee. 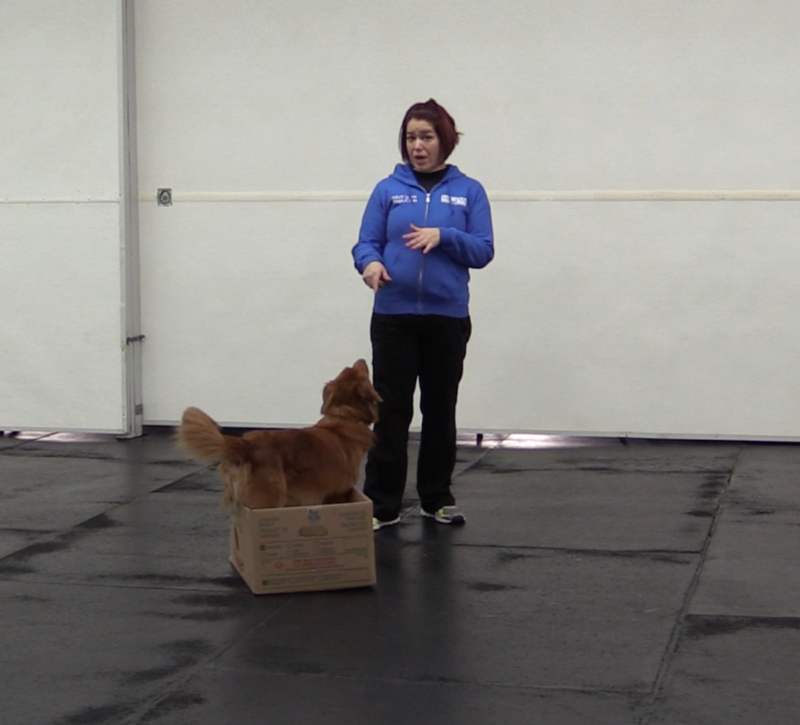 This week, we are going to start the process of shaping by teaching our dogs how to get into a box. The traditional definition of “shaping” is asking our dogs to offer successive approximations on a skill or behaviour. Shaping is so much fun and can be used to teach limitless skills. 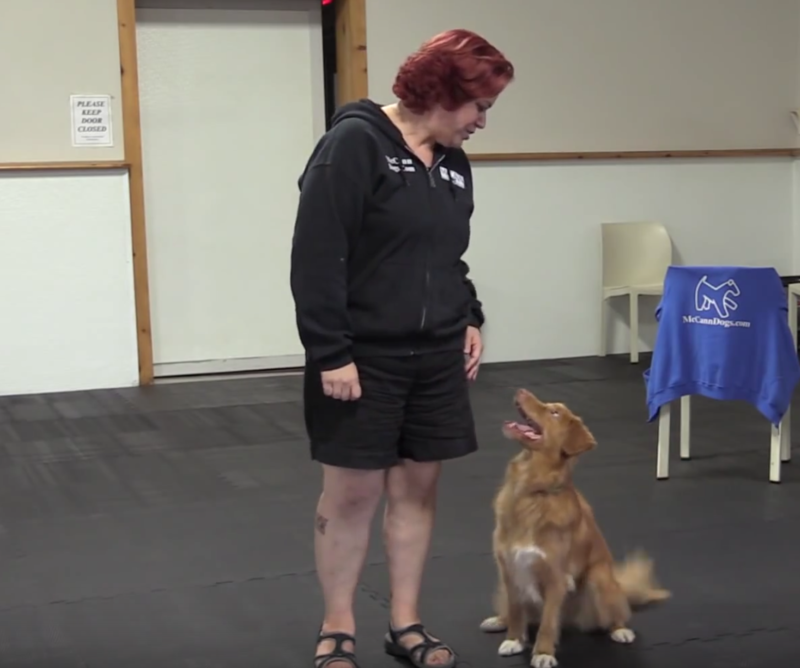 What we are doing is asking our dogs to offer or “shape” a behaviour. Essentially, we are teaching them to think and problem solve. To start shaping, you’ll need an easy behaviour, like getting into a large box. Initially, click any step, motion or even just slight attention towards the box. Then, wait for a little further commitment each time until you’ve reached your desired behaviour. Welcome back to Trick Tuesday! Every Tuesday, another trick tutorial. 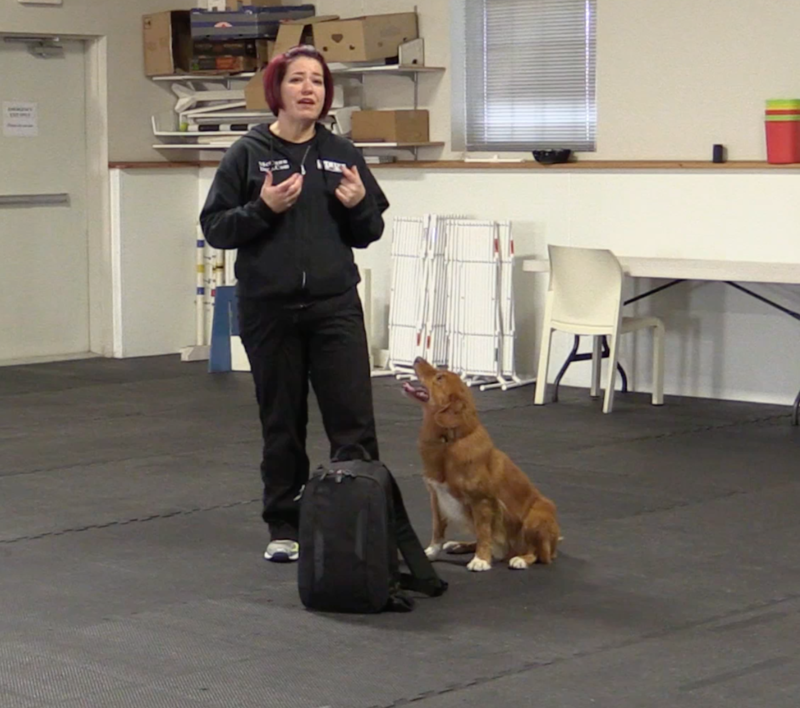 This week, we are going to teach our dogs to put their heads down on command. 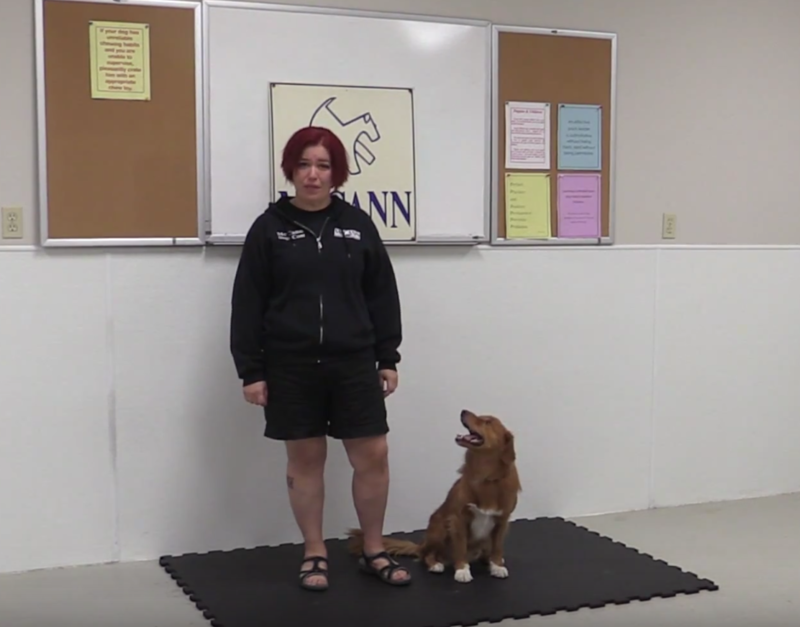 This is a really crowd pleasing trick to show a “sad” or “guilty” expression with your dog. Have fun teaching this one! 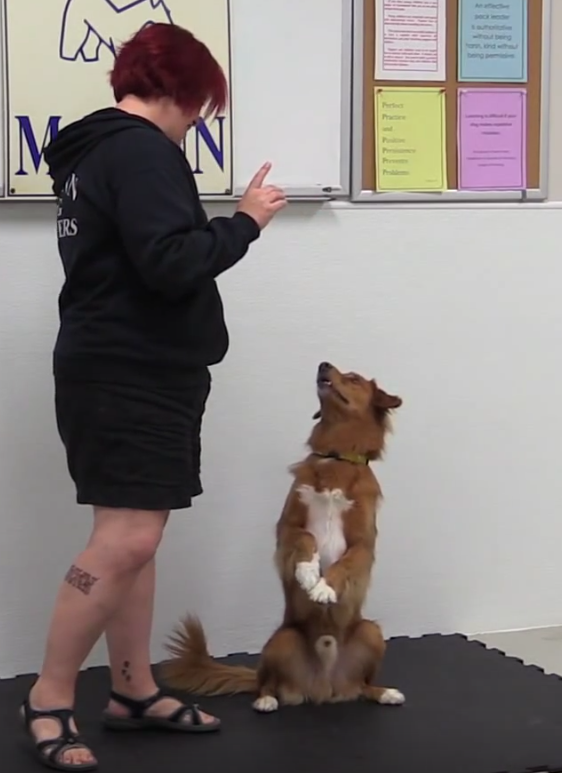 This week, we are going to teach our dogs to stand tall. This one is lots of fun! Welcome back to Trick Tuesday! 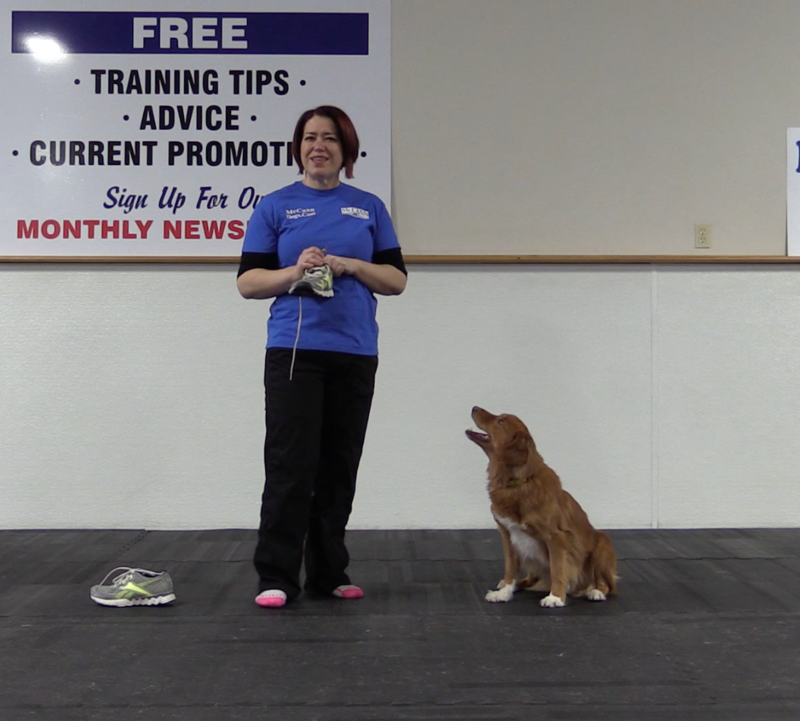 Trick tutorials for you and your dog! This week, we are going to teach our dogs to untie our shoes. What a great, fun trick to impress your friends with. 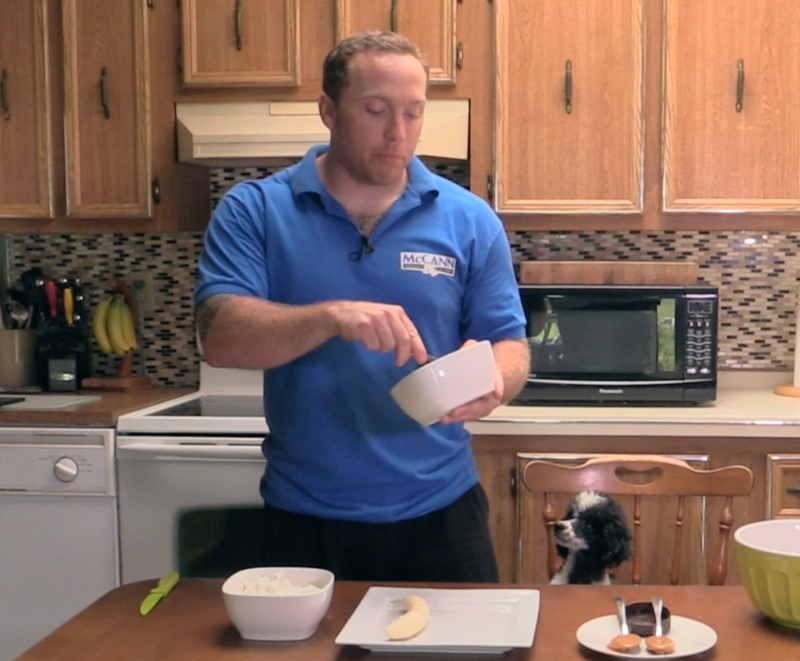 Ice Cream for Dogs: Enjoy a Cool Summer Treat! That’s Right! Ice Cream for Dogs!!! Who doesn’t love ice cream? Studies show that people who consume ice cream on hot days are more productive and generally cooler. Kidding! It’s just a great treat and on a hot day, and that can be just the ticket! It got us thinking – wouldn’t our dogs enjoy taking part in this ritual too? We asked them and the answer sounded close enough to “yes,” so we went out in search of a delicious recipe for all natural ice cream for dogs. The reviews were all stellar, as Hippy-Shake will attest to in the video below. 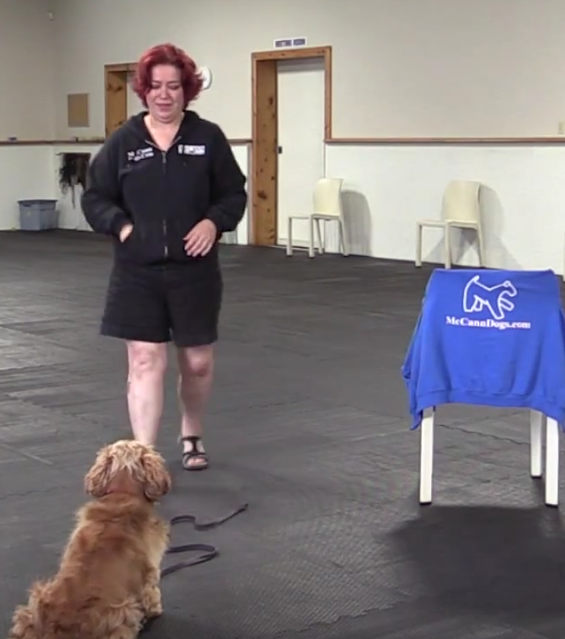 The secret to a well behaved dog is not long, drawn-out training sessions. It's using your day-to-day life and habits to consistently teach good skills and manners. We talk a lot about manners. Have You Met all 6 Breeds of Retrievers? New Puppy? Great! Now What? Can't come to us? Don't miss out on our expert training methods. Learn from the professionals online. "You all do a wonderful job! Keep up the good work - we will be back. McCanns is like Harvard University for puppies!" Come, sit, stay and play! The road to a well mannered dog is not as long as you'd think! Teaching a few skills like stay and walking nicely can go a long way toward the end goal. Stop Your Dog from Jumping Up! Join our email list! Get dog training tips, stories, fun pictures and videos, and lots of great offers, in your inbox once a month.